Made by keratin glue and there are 50 pieces in each bag. Used to re apply pre-bonded hair extension. Protecting your scalp while applying hair extension on. There are 10 pieces protective shields in each pack. 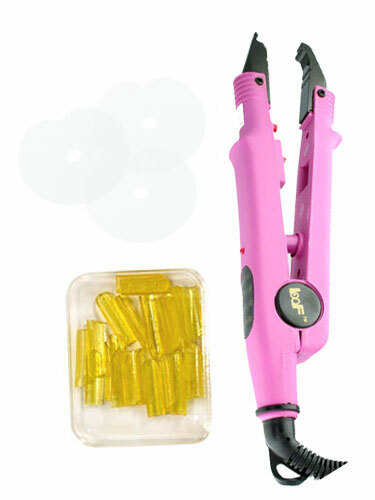 This Professional Hair Extensions Iron is the heating tool for applying pre-bonded hair extensions.